Course Information Miyazaki is located on Japan's southernmost major island Kyushu. It is clement here all the year around, and with its abundant sunshine and greenery, Miyazaki is an eminent resort area in Jpana. Phoenix Country Club is located in Seagaia Resort which is managed by Starwoods and has two championship golf courses.This course is ranked in the top 100 courses in the world and one of the top 10 Japanese courses by many golf magazines including US.Golf Digest. Laid on the coast of the Pacific Ocean, it features long fairways surrounded by tall pine groves. 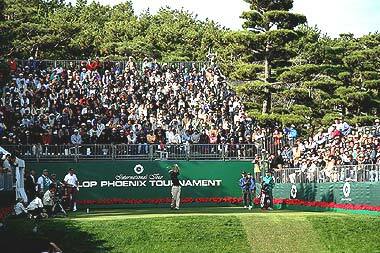 This plays host to Japan's one of the major tournaments Dunlop Phoenix Open every year that many of the world famous golfers including Tiger Woods participate in.